Ben Thompson (2 November 1843 – 11 March 1884) was a Yorkshire man born in Knottingley, who travelled at the age of eight with his parents to the USA. He would become famous as a man of the gun and at times was a gunman, gambler, and lawman of the Old West. He was a contemporary of “Buffalo” Bill Cody, Bat Masterson, John Wesley Hardin, and “Wild Bill” Hickock, some of whom considered him a friend, others an enemy. Thompson fought for the Confederacy during the Civil War, and later for Emperor Maximilian in Mexico. 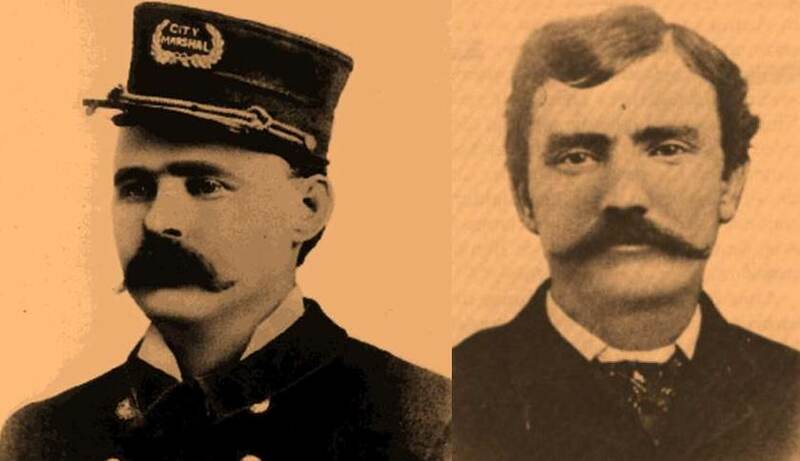 When hired in 1881 as marshal in Austin, Texas, the crime rate reportedly dropped sharply. Thompson was murdered at the age of 40 in San Antonio, Texas in the “Vaudeville Theater Ambush” whilst attending a show with the rancher King Fisher. This book tells the story of Thompson’s final days leading up to both his and Fisher’s death. Price £4.00 ($8.00) to Subscribing Members of EWS includes postage and packaging. Price £4.00 ($8.00) to Non Subscribing Members through EWS excludes postage and packaging.